With the new financial year comes a new income tax return (ITR) form . The income tax (I-T) department has said that the new ITR-1 and ITR-4 form for assessment year 2019-20 is available for e-filing on the website. 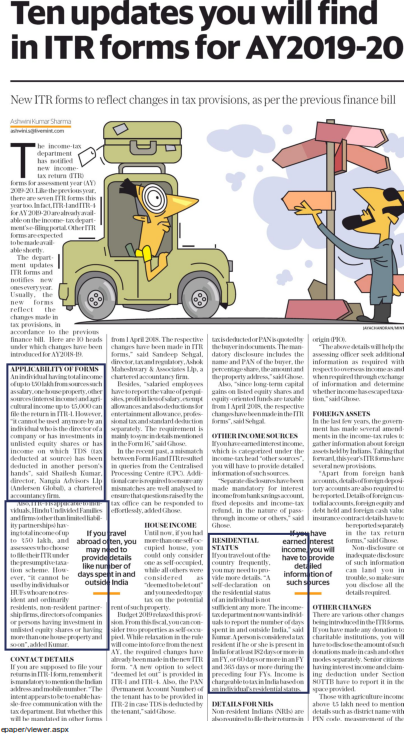 Shailesh Kumar, Director shares his views on Ten updates you will find in ITR forms for AY2019-20 for Livemint.